(KZN.RU, February 4, Ksenia Shvetsova). In Kazan, administrative violations were applied 209 times for violations of the rules for the winter maintenance of the territories in the current season. The health of the residents and guests of the city directly depends on compliance with the improvement rules. Therefore, it is necessary to demand this from both commercial and state organizations, said Ilsur Metshin, the Mayor of Kazan, today at the Business Monday, urging to harshly punish the violators. Alfir Shamsutdinov, the head of the Office of Administrative and Technical Inspectorate, reported on the work on identifying and preventing violations in the area of improvement, as well as on the results of the work of the Office of Administrative and Technical Inspectorate over the past year. He noted that not only its improvement, but also the safety of residents often depends on how well the work on the current maintenance of the city is organized. “Violations are detected both in the subjects of commercial structures and in management companies, HOA, HBC and budget organizations”, said A. Shamsutdinov. He added that the greatest number of issues traditionally arise in facilities operated by business and organizations with a large number of objects. Thus, claims were repeatedly made against OOO “Agrotorg” (Pyaterochka supermarkets) and AO “Tander” (Magnit supermarkets), OAO “Setevaya Kompaniya – Kazanskie Elektricheskir Seti”, OOO Gorodskie Apteki”, AO “Svyaznoy Logistika”, OOO “Aptechny Sklad”. “This shows an insufficient level of organization of methodical work within these companies with the manager and service personnel of outlets”, said the speaker. Not only commercial organizations, but also management companies often become violators. Administrative materials were compiled for those organizations more than once. “Having enough resources, these management companies admit a negligent attitude to the content of the territory and objects assigned to them”, marked A. Shamsutdinov. Late cleaning of the road network, driveways, and sidewalks is another serious problem. This season, 4 municipal contracts have been concluded for the maintenance of the territory of the city. Quality has improved, but issues still remain. As for budgetary organizations, since the beginning of winter, the national cultural center Kazan and the Kazan College of Construction, Architecture and Municipal Economy had received one administrative material each. According to A. Shamsutdinov, administrative measures were applied 209 times to the subjects who committed violations in the current winter period. 39% of the materials were compiled for not clearing areas from snow and ice and for not cleaning the roof from snow and icicles, 22% for storing snow in unidentified places. This indicator is at the level of the same period last winter season. “The big issue is the number of violations of the rules for winter maintenance”, said Ilsur Metshin, the Mayor of Kazan. “A lot of commercial enterprises violate. In this case, the business is making is worse for itself, receiving fines for the inadequate maintenance of the owned territory. We cannot turn a blind eye to this and will never put up with it, because it is a direct threat to the health of our citizens. In this case, we must strictly follow the interests of our residents, within the framework of the law and in dialogue with business”. The head of the city urged to pay attention to the management companies, to which there are complaints, and instructed the Housing and Communal Services Committee and heads of districts to take control of their work. Among other areas of work of the Office of Administrative and Technical Inspection is the preservation of urban gardening. Great damage to trees is caused by motorists who park their cars in green areas. After the introduction of the Administrative Offenses Code of the RT of an article providing for responsibility for locating vehicles at improvement objects in 2018, the administration resumed work on the fight against negligent car owners leaving cars in green areas, sports and household grounds. Over the past year, more than 37 thousand materials were transferred to the Kazan Administrative Commission for unauthorized parking of vehicles at land improvement facilities. In addition, employees of the department monitor the execution of orders for compensatory planting of green spaces. According to the speaker, the deadlines for the execution of work under 100 orders were controlled in 2018. As a result, over 2400 trees and 419 bushes were planted, over 90 thousand square meters of lawn were laid, and 836 trees were replanted. The number of cases of unauthorized placement of information and printed products has decreased by 20% compared with 2017. Another problem that negatively affects the appearance of the city is a violation of the procedure for placing outdoor media. Last year, 677 materials were compiled. As a result of the work done, 934 structures were dismantled. Since the beginning of 2014, 3756 structures have been dismantled. The Office of Outdoor Advertising and Information plays an important role in this work, said I. Metshin. “The order that was imposed in the city by management is an example for the whole country. We were the founders of changes in legislation, and today we were able to bring about an almost perfect order in the field of outdoor advertising and ensure equal rights for all players in the advertising market”. 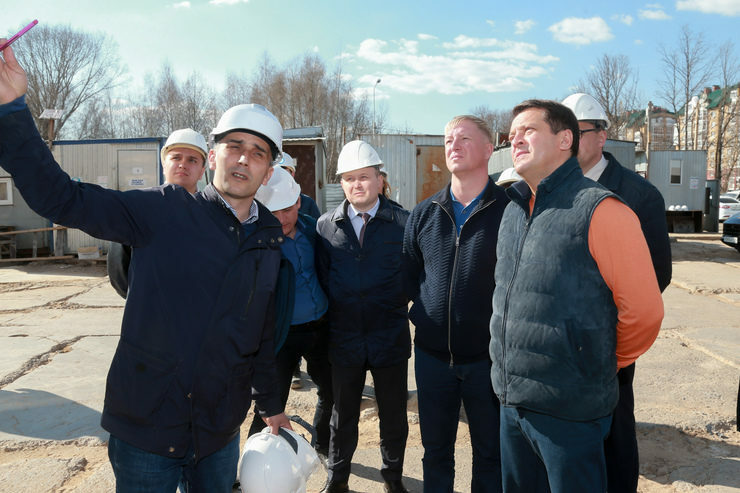 The number of violations in the production of land works decreased in Kazan, noted A. Shamsutdinov. He added that during the past year, the Committee for External Improvement issued 4283 warrants for these works. 635 administrative materials were compiled for the violations, which is 17% less than in the previous year. “The positive dynamics is due to the fact that the work is carried out mainly by the same customers and contractors. Over the years, they have learned the need to comply with the requirements for earthworks, construction and repair work related to the improvement of the city”, said A. Shamsutdinov. Good results have been achieved in the control of construction objects. During the year, 245 construction sites were under control, 117 administrative materials were compiled for the violations found. By the end of the year, only 7 out of 194 existing construction sites remained unrepaired. Unauthorized waste disposal sites were found by 35% less than in 2017. For today, 16 sites have been eliminated, 35 more ones will be eliminated in the upcoming season. The courts are working with the subjects who are unwilling to voluntarily eliminate the violations. 84 cases were drawn with the administration on behalf of the Executive Committee, 41 of them were satisfied even before the court decision, 20 violations were eliminated in the process of consideration. “The level of improvement is an excellent indicator of the well-being of the city and the region. Compliance with the requirements of normative legal acts in the field of improvement is a prerequisite for the development of the city, increasing its tourism and investment attractiveness”, said the speaker. “The reduction of violations in various areas is pleasing. It speaks of systematic work and the fact that people gradually get used to observing the rules. It becomes the norm for them to live according to the legal documents adopted by the City Council, it becomes the norm to be friends with the law. We have results and we will continue this work”, said I. Metshin.